Longtime Hollywood actress Busy Philipps was spotted out and about in Beverly Hills recently and she was driving a black Audi Q7. This is a nice upgrade from Busy’s former Lexus RX that we spotted her in a while back. I like the Q7’s, and it’s nice to see an actress choose a Q7 over a Range Rover or a G Wagon every once in a while. With that said, best of luck with the Q7, Busy! Teslas (Specifically the model S) have quickly become the most popular car in Hollywood second to a Range Rover, and actor Tobey Maguire is a part of that crowd. 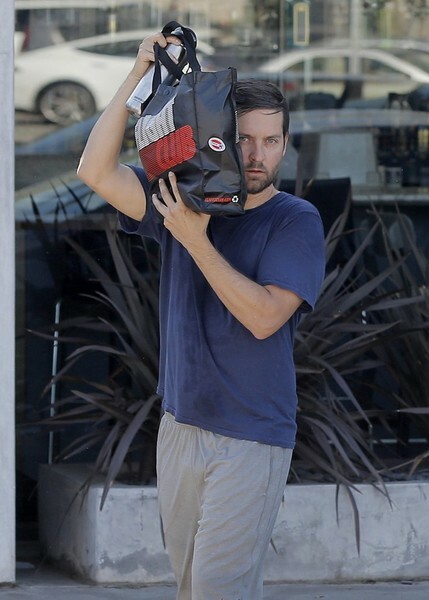 Tobey was seen out in LA getting in to his gray Model S after leaving a workout. While I’m a huge fan of them, it’s getting a bit redundant seeing every celebrity ride around in one. On the plus side, I’ve noticed a huge decrease in the amount of celebrities that drive a Prius since Tesla jumped on the scene and that’s something I think most of us here are grateful for. It wasn’t too long ago that we did a post on seeing the first celeb out in the new Bentley Bentayga, and it looks like the rest of Hollywood is catching on as well. Sharon Osbourne was recently seen valeting her black Bentayga while out in Beverly Hills. This isn’t the only Bentley she owns, as we’ve also spotted her out in a Flying Spur in the past. I think the car suits her well!